The Sovtek 12AX7LP has larger plates and great for use on DC filaments. 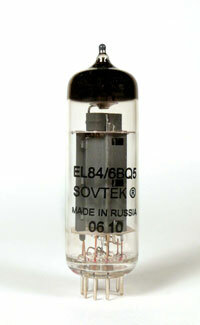 The Sovtek 12AX7WA is the most widely used 12AX7 in the world today. Currently the staple preamp tube for Fender - Hartke - SLM - Carvin - Trace Elliot - Orange among others. When budget is an issue - this tube is the choice. singola - single The Sovtek 12AX7WC is a rlow cost that can be put into any 12AX7 / ECC83 socket. Perfect for use in Fender and Mesa amps. singola - single The Sovtek 5751 can be subbed in for the 12AY7 in original Fender Twead amps and in the socket for the 12AT7 reverb driver tube. Though it is not a true 12AX7 - the 5751 can be used as a gain reduction device in place of the 12AX7. You can get that crunchy sound sooner and with lower volume. A great way to learn about how Gain Factor affects the tube circuit and to please your neighbors. is one of the most widely used 6L6 variants available. It is the stock tube in Fender and Mesa amps. While not the most harmonically rich tube - it is very affordable and durable. 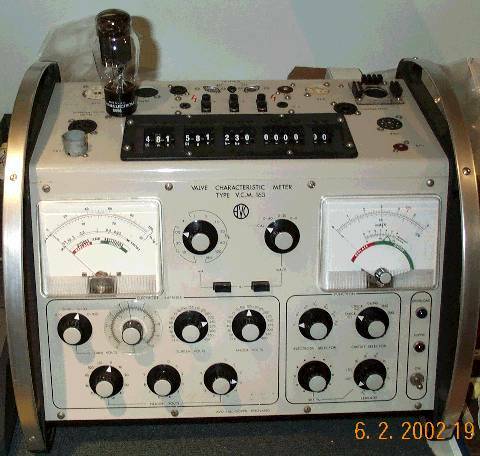 If you use a lot of outboard effects this tube is for you. This tube is not the best selection for Jazz or clean guitar. singola - single The Sovtek EL84 produce an unbeatable smooth, warm, distortion. Excellent replacements in vintage VOX AC-30's and the like, our EL84's are used by Fender, Crate, and Peavey. singola - single is a military version of the standard EL84 - the Sovtek EL84M's extended voltage tolerance - improved plate dissipation - and rugged construction make it equivalent to the RCA 7189. Chosen by Matchless for their designs - the EL84M also features higher transconductance - more power - and longer life than the less expensive EL84 - making it perfect for hi-end audio applications. However - many musician's prefer the regular EL84's warm distortion to the EL84M's tighter - cleaner tone. For all Hi-Fi users - the EL84M is definitely the tube of choice.